Drivers of the most polluting vehicles now have to pay to drive into central London - and soon other towns and cities across the UK will follow suit. Drivers of the most polluting vehicles can be charged up to £100 a day to enter areas where councils believe the air to be toxic - often in town and city centres. But there are two main types of CAZs: those that charge drivers and those where there is no charge but councils promise "action to improve air quality". The UK's highest court, the Supreme Court, ordered ministers to take immediate action to cut air pollution in 2015. The case was brought by environmental law organisation ClientEarth, which insisted not enough was being done after the UK breached EU limits for nitrogen dioxide (NO2) - a gas produced by diesel vehicles which can decrease lung function. In response, the government called for five cities to establish a CAZ: Birmingham, Leeds, Southampton, Nottingham and Derby. This was in addition to London's Low Emission Zone which was established in 2008. These resulted in the government telling 28 more councils to draw up plans to tackle NO2 levels and a further 33 to carry out "feasibility studies" on whether a CAZ was needed to reduce levels in the "shortest possible time". Are diesel cars always the most harmful? Do clean air zones work? 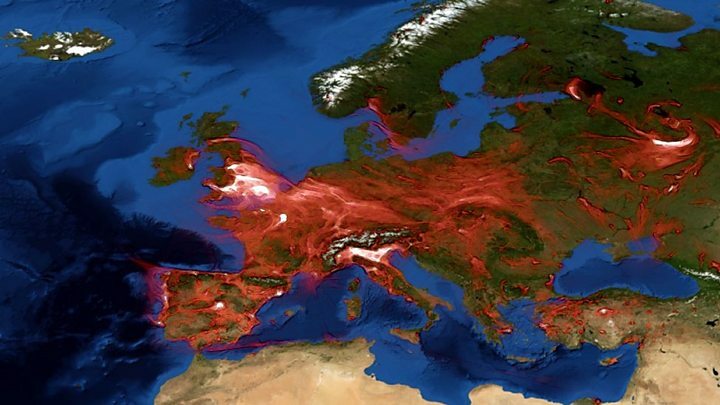 The EU's annual limit has been set at 40 micrograms of NO2 per cubic metre of air since 2010. In 2017, 37 out of 43 areas exceeded these limits - although most (36) had recorded lower levels than in 2016. But after Brexit the UK's targets and deadlines could begin to differ from the EU's. You can check if your vehicle meets the ULEZ's emission standards by entering its registration number on the TfL website. Separately, certain streets in Shoreditch in east London will only permit "ultra low emission vehicles", such as electric and hydrogen vehicles, between peak hours. What is London's Ultra Low Emission Zone? How does London's new emissions zone compare? You can check if your vehicle meets the emission standards on the city council's website. Birmingham's plans for a charging CAZ have also been approved by Department for Environment, Food and Rural Affairs (Defra). Glasgow is home to Scotland's first low-emission zone which came into force on 31 December last year. 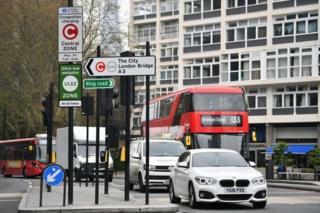 The scheme initially one in five buses entering the city centre zone must meet new emission standards. The council says that proportion is expected to increase in future years. It will also apply to lorries, vans and private cars from December 2022. The council says emission standards for motorcycles and mopeds are still being considered. The amount councils in Scotland can charge will be set by the Scottish Parliament under the Transport (Scotland) Bill. The council said it could instead meet government limits through a "refined set of freight, bus and taxi measures". Its proposed zone would come into force in 2020 and would apply to buses that do not meet emission standards travelling within the city's inner ring road five or more times a day. Some councils have ruled out a CAZ, including Nottingham, which was one of the five cities originally told to implement one. Ministers have backed the city's decision after the council said its research had shown a CAZ was not needed. ClientEarth lawyer Katie Nielder said despite the government's assurances that tackling air pollution was a priority "most of its actions have been designed to dump the problem on hard-pressed local authorities". It says it's spending £3.5bn on tackling roadside NO2 concentrations, including £220m for a new clean air fund to support individuals and businesses affected by councils' plans to improve air quality. Defra has set up the Joint Air Quality Unit to work with councils on developing their plans to give drivers a "quick and easy way" of making payments. All new cars in the UK will be "effectively zero emission" by 2040, under further plans to tackle air pollution. The government is under pressure to bring forward this deadline and ban all sales of new petrol and diesel cars by 2032, after a report by a parliamentary committee described its plans as "vague and unambitious".